The Urban Politico: Corporate Welfare or Good Business Sense??? I'll take any mother*****'s money if he giving it away!!!! Regardless of race, gender, political affiliation or geography, when you say "welfare", many people probably still think of a person who looks and sounds like this. Such a wretched individual makes an easy target for people who are tired of other people putting hands in their pocket while having the nerve, the audacity to claim that they are somehow entitled to do so. However it has never ceased to amaze me that the more you need money the less likely people are to give it to you while the less you need it, the more people break their neck trying to give it to you. I was reminded of that by two separate recent events, one national and one local. If we take our focus off "welfare" as money given to "underclass" mothers and/or other loud obese moochers and expand the term to include well off people, we might be surprised by how much government assistance the rich get, even for doing things they would already do. There have been books written on this. This is a tremendously inefficient use of government resources. And it's unfair. I don't mind paying taxes if those taxes can prevent someone from starving to death or being homeless. I do mind paying taxes when those taxes are given to individuals or companies that are not so troubled. 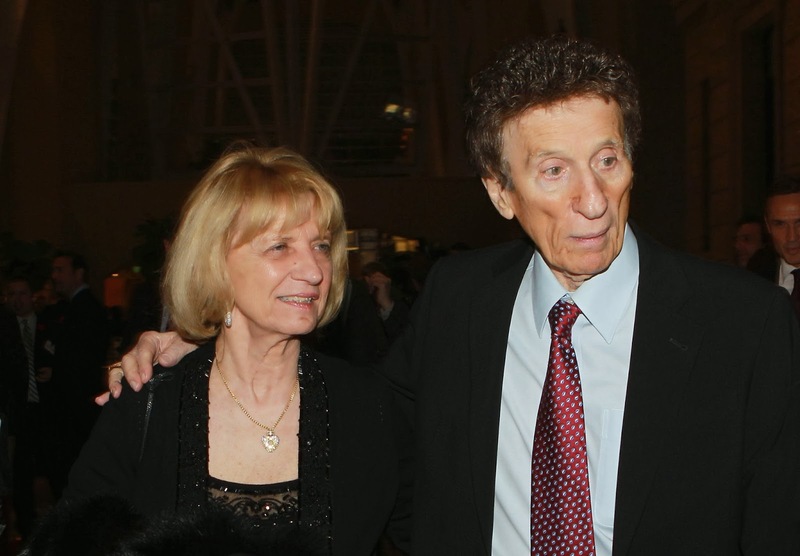 Michigan billionaires, Mike and Marian Illitch (net worth around $3 billion), owners of Little Caesars, The Detroit Tigers, The Detroit Red Wings, various land development companies and Motor City Casino (under Marian's name for business reasons) have decided that they want a new arena for the Red Wings. 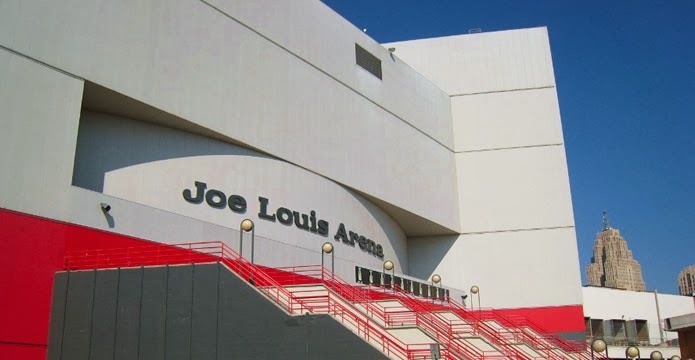 The current one, Joe Louis Arena is not quite decrepit but is definitely outdated. Well in a so-called free market when you want to take a risk and build/buy something new you pony up the dollars and either get the rewards or take the losses. But that's not how things work for billionaires, especially in sports. Despite the fact that tons of evidence exists that public financing of sports arenas rarely brings the ROI that supporters claim it does, the City of Detroit and the State of Michigan have come together to ensure that the Illitches get public land for essentially nothing in order to build their new stadium/entertainment complex. That's how things work, not just in Detroit, but in many cities. The subsidy is bad enough but what made this deal stand out to me was that the Illitches, or rather their company, will keep ALL revenues from the stadium. There will be no sharing with either the state or the city. Additionally Olympia Entertainment will pay no property taxes on the new stadium. Even the building of the stadium itself will be 60% publicly funded. Now does that sound like a win-win deal for the city? In one of the largest land transfers in the city’s history, the Detroit City Council agreed Tuesday to hand over 39 parcels of land along the Cass Corridor to transform what was once a blighted, crime-ridden strip near downtown Detroit into a $650-million entertainment venue that will include a new arena for the Detroit Red Wings. The vote authorizes the city to sell the public land for $1 to the Detroit Downtown Development Authority, which will own the arena and lease it for up to 95 years to Olympia Development of Michigan. The company is owned by the Ilitch family, which owns the Red Wings. The essentially free transfer of public land — with an assessed value of about $2.9 million — is the city’s chief contribution to the development. As proposed, construction of the arena itself would be 58% publicly funded and 42% privately funded. No Detroit general fund dollars would be spent; the state is contributing the bulk of the public investment. Olympia has agreed to pay $11.5 million annually for about 30 years to help pay off the construction bonds. Olympia will own the arena’s naming rights and will keep all revenues from arena operations, including parking fees and concessions sales. The city will not collect property taxes on the arena. The second instance of corporate welfare which caught my ire was the agreement over the latest farm bill, which President Obama is going to sign into law today, likely at Michigan State University, that center of agricultural higher learning better known as Moo U. I hear that the President will also be treated to a demonstration of the correct techniques of cow artificial insemination and 101 uses of cowpies. But I digress. The bill, soon to become law, has all sorts of goodies included into it, most of which are going to insurers and agribusiness, not "farmers". Think less Tom Joad and more Monsanto. The bill stinks. And given that it also cuts food stamps can Democratic partisans stop talking about how the evil Republicans are behind this. 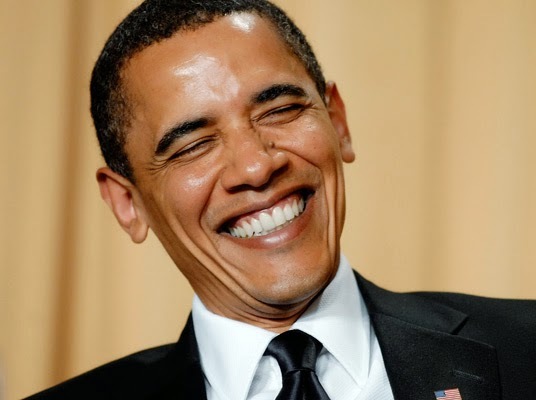 If the food stamp cuts really bothered the President he would veto the bill. He's not doing that. Take from that what you will. I learn from people's actions, not their words. 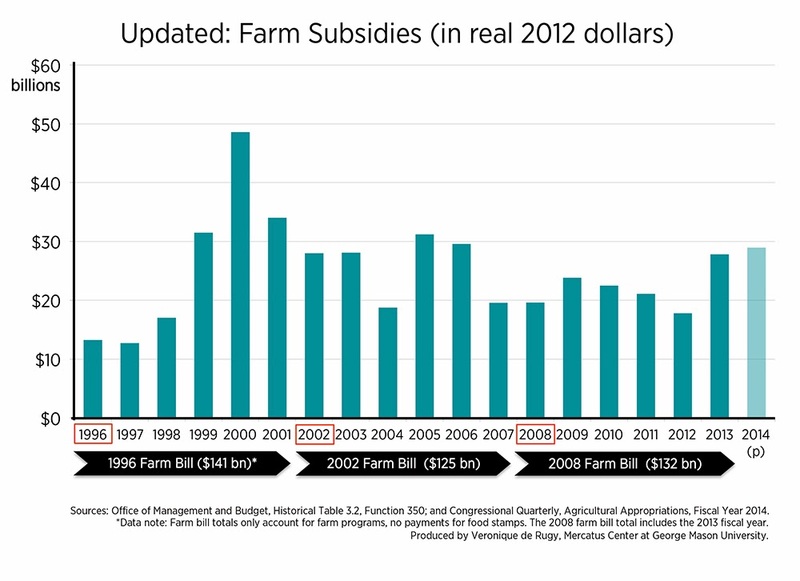 WASHINGTON — No one was happier than Danny Murphy, a Mississippi soybean farmer with 1,500 acres, when the Senate on Tuesday passed a farm bill that expanded crop insurance and other benefits for agribusiness. “It’s a relief,” Mr. Murphy said. Few were as unhappy as Sheena Wright, the president of the United Way in New York, who expects to see a surge of hungry people seeking help because the bill cuts $8 billion in food stamps over a decade. “You are going to have to make a decision on what you are going to do, buy food or pay rent,” Ms. Wright said. So the rich will get richer and piggish private interests will continue to feed from the government trough, only pausing long enough to wipe the crumbs from their snout and mumble "free market" or "individual responsibility" to the rest of us, before continuing their gluttony. Such is life I guess. I would like to know though where is the conservative outrage over such transfers of public monies to private hands? Why are some conservatives silent about this when businesses are the recipients? And flipping the script would liberals be quiet if it were a President Bush cutting food stamps in the economic environment we have now? Somehow I doubt it. But look over there! Chris Christie!!! Benghazi!! Birth Control Pills!!!!! !